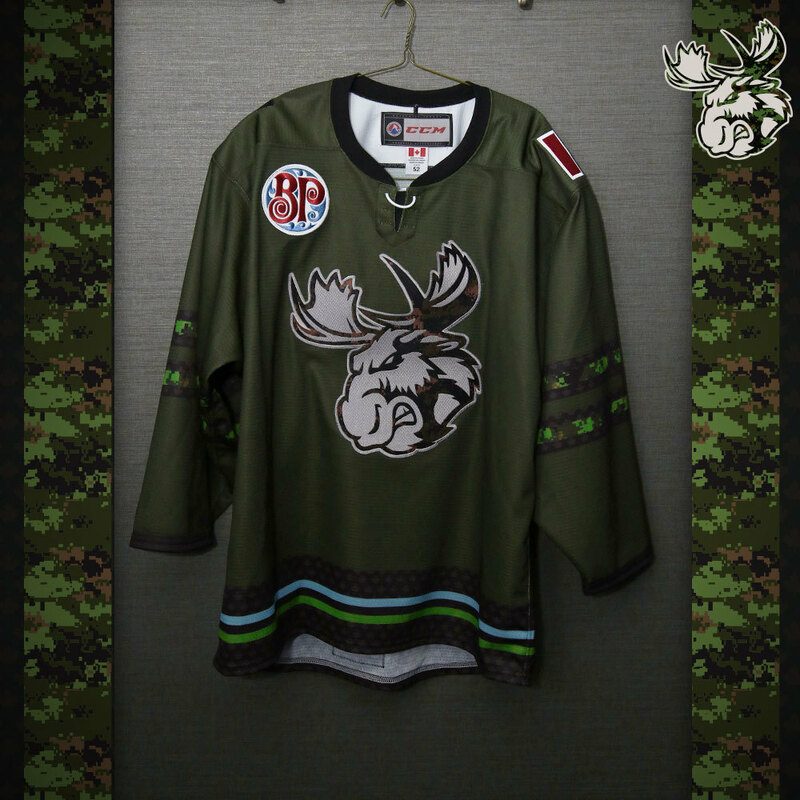 You are bidding on a Game Issued Manitoba Moose Military hockey jersey (size 52). 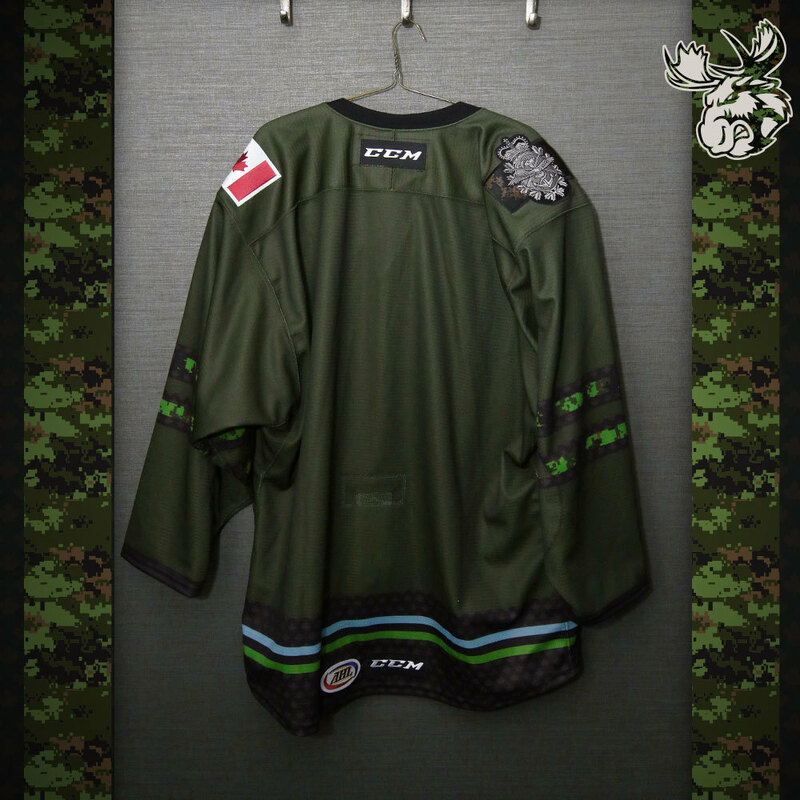 This unique jersey was issued for game action on January 12, 2018 when the Moose took on the Laval Rocket. All proceeds from the auction will benefit The Hubbell Awards. All winning bidders will receive an Official Manitoba Moose Certificate of Authenticity.